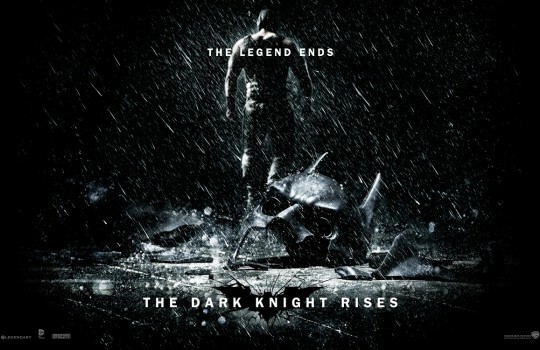 The Dark Knight Rises is the grand finale to Christopher Nolan’s Batman trilogy. 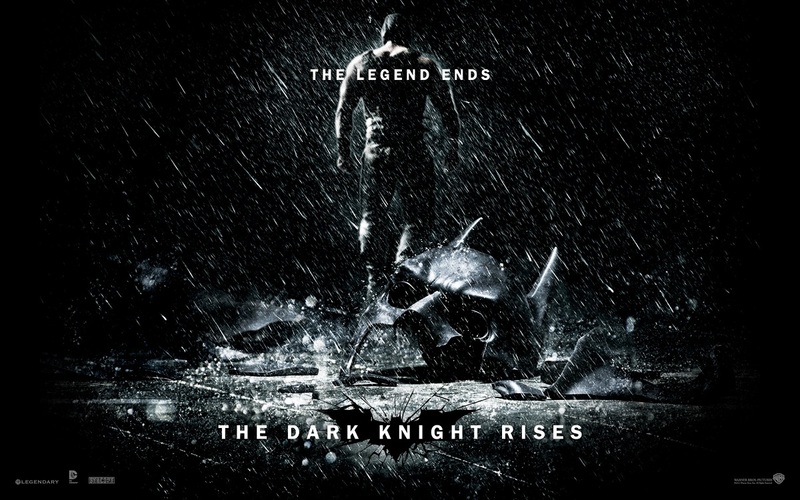 Just when we thought things couldn’t get worse after such a wicked villain like the Joker with No Future for sole mantra, appears Bane to fulfil the mission of Ra’s al Ghul and the League of Shadows. 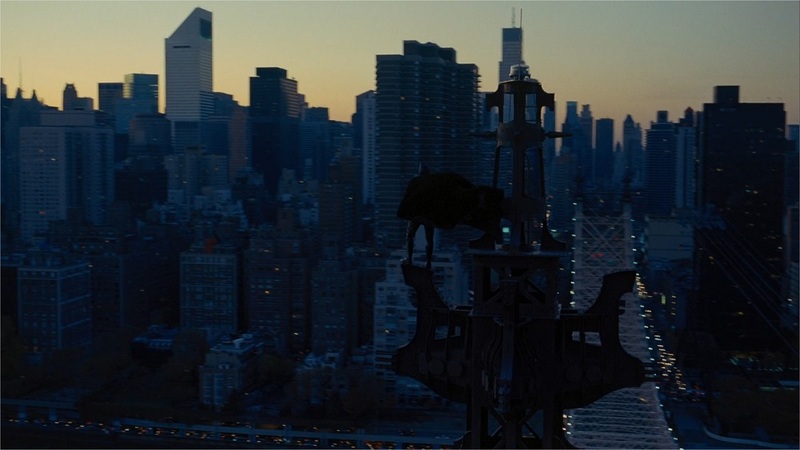 Released in 2012 in the midst of the world financial crisis, The Dark Knight Rises catalyzes the latent frustrations with growing inequalities between elites and unentitled citizens. By contrast to Bruce Wayne, who despite all his good deeds and childhood hardships was nonetheless born in opulence, Bane struggled all his life and emerges from the shadows to – seemingly – restore the balance of power in Gotham City. Magnificently portrayed by Tom Hardy, Bane is huge yet lightning fast, with a mechanical voice dubbed by an English-accent that makes him come off as a strange aristocratic revolutionary. 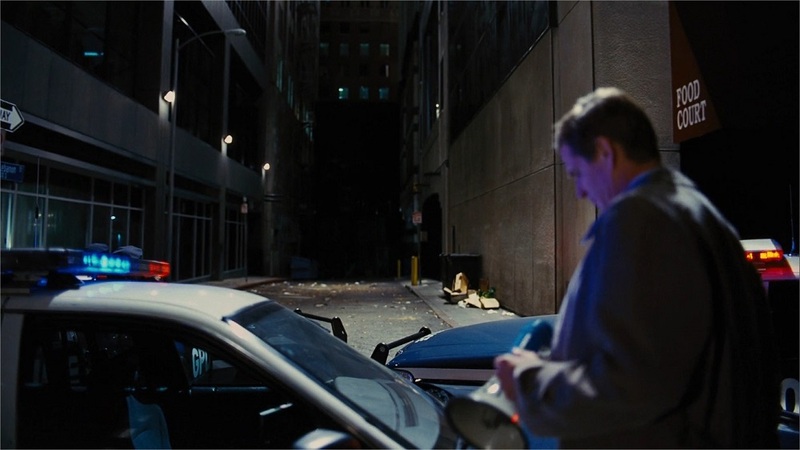 With the The Dark Knight Rises, Nolan saved the best piece for last and brilliantly demonstrates again his unique epic style that gave Avengers, released a few months before, a serious run for its money and set the bar at an all-time high for the next Batman movies to come. Ben Affleck: you’ve been warned! 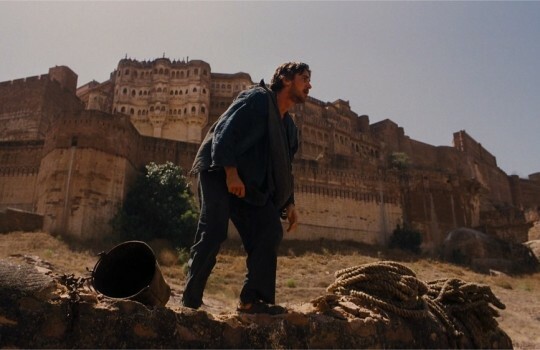 The Dark Knight Rises moves Gotham City from Chicago to New York, Pittsburgh and Los Angeles, besides introducing beautiful scenes in India to portray Bane’s prison, the Pit. 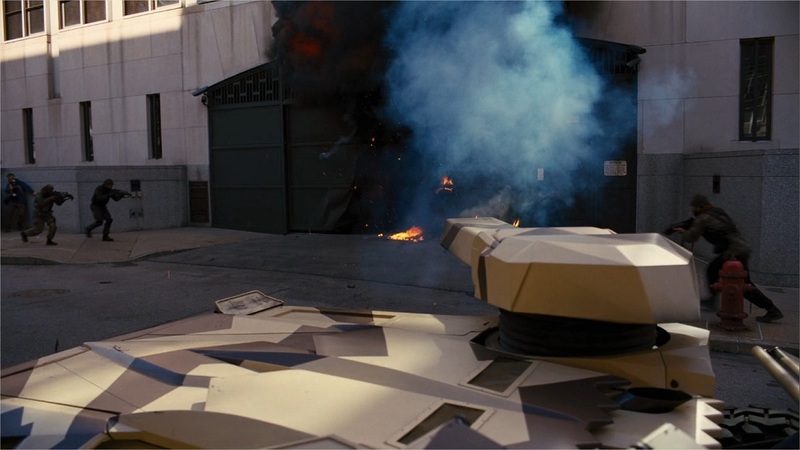 The first encounter with Bane sets the tone for the rest of The Dark Knight Rises at the expense of the CIA agent played by Aidan Gillen (Littlefinger in Game of Thrones). 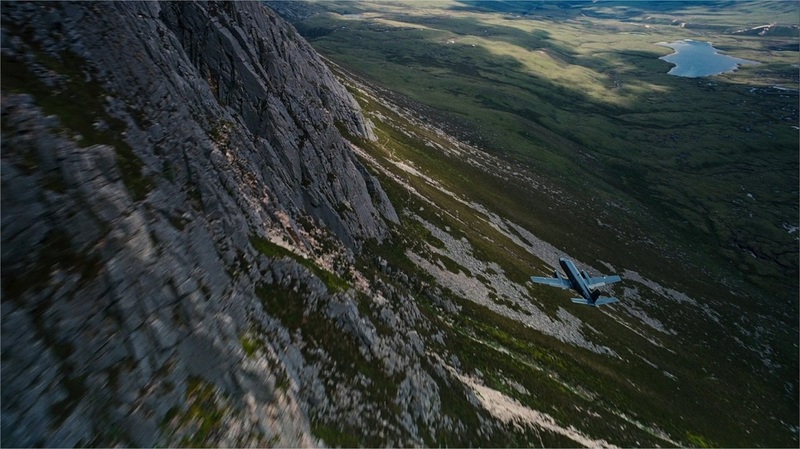 The very impressive plane scene was filmed in Inverness in Scotland's Highlands. 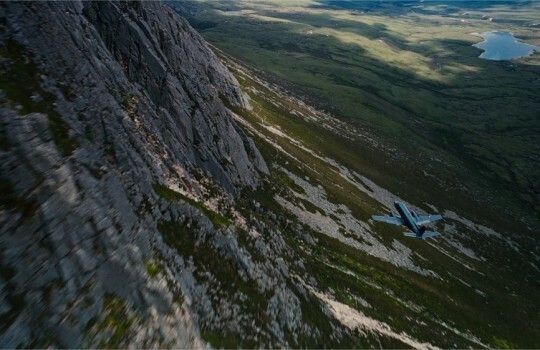 Shot in real conditions, this stunt had apparently never been done before. 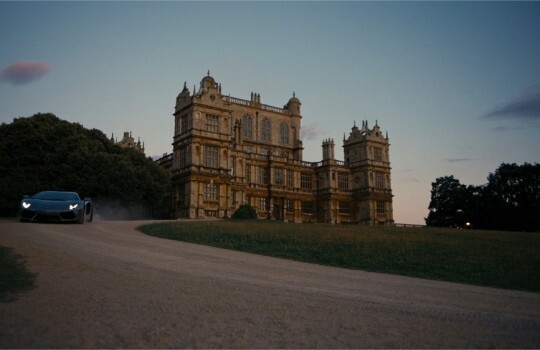 Rebuilt from the ground after being burned to ashes in Batman Begins, the famous Wayne Manor reappears in The Dark Knight Rises under the traits of the Wollaton Hall, a Tudor-style Mansion in Nottingham (England). 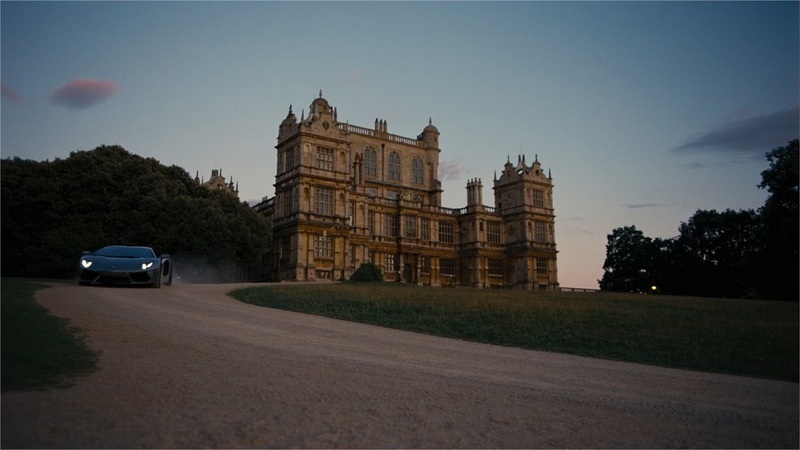 Interestingly, it's the building that inspired the Mentmore Towers that was used as filming location for Wayne Manor in Batman Begins. 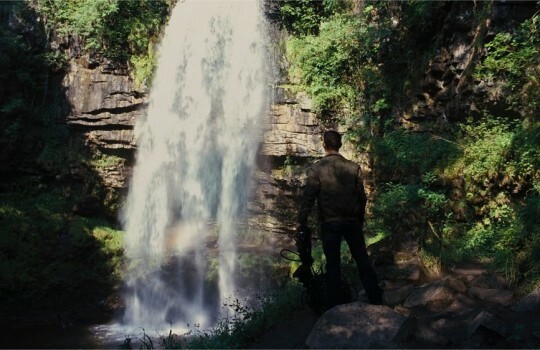 If you are interested in visiting this beautiful location, check out this page that has all the necessary information. 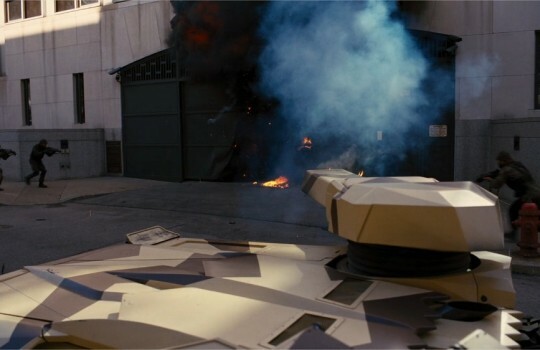 Bruce Wayne: Actually, they're letting me keep the house. 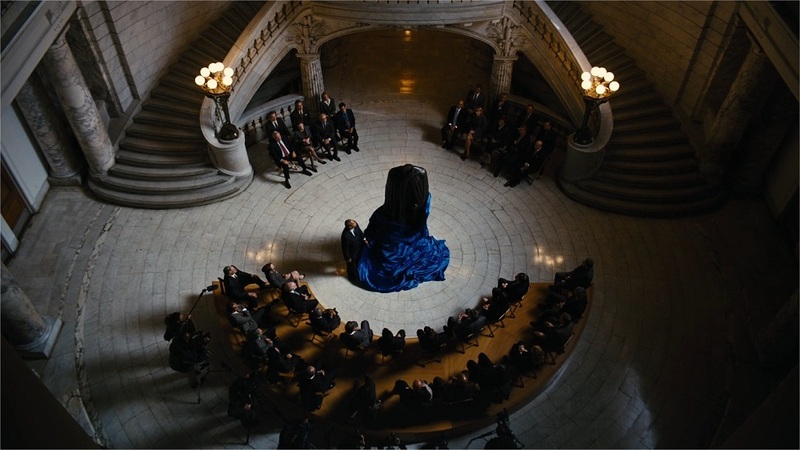 Selina: The rich don't even go broke same as the rest of us, huh? 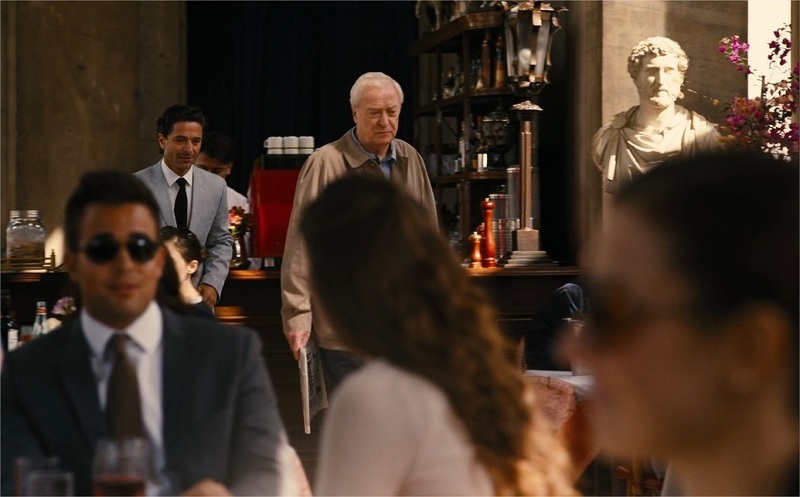 The interior of Wayne Manor where a recluse Bruce Wayne meets for the first time the sparkling Selina Kyle is the Osterley Park House in London. 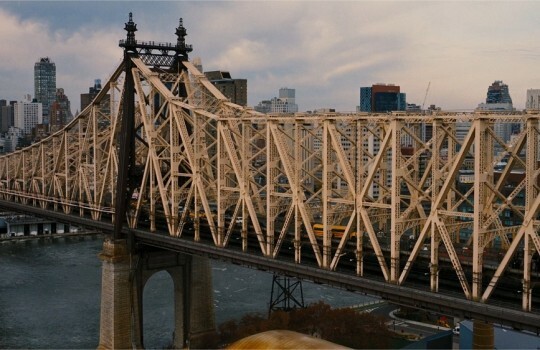 Bruce Wayne: Those are lovely pearls. My mother had a pair just like them. But that's impossible because her's are in the safe, which the manufacturer said was uncrackable. 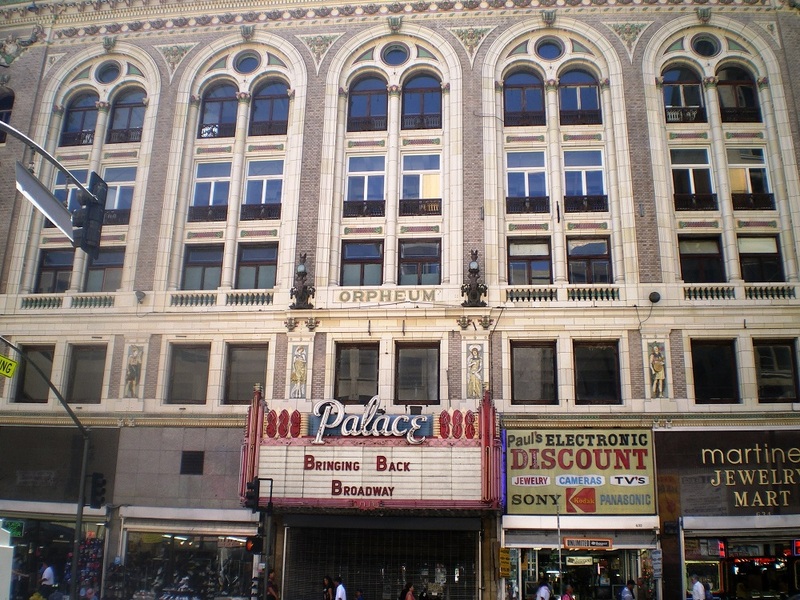 The exterior of the Gotham Museum Benefit Ball where Bruce Waynes makes his first public appearance in a long time is the Palace Theatre in Los Angeles. Paparazzi #2: Another stiff can barely climb out of his sports car. 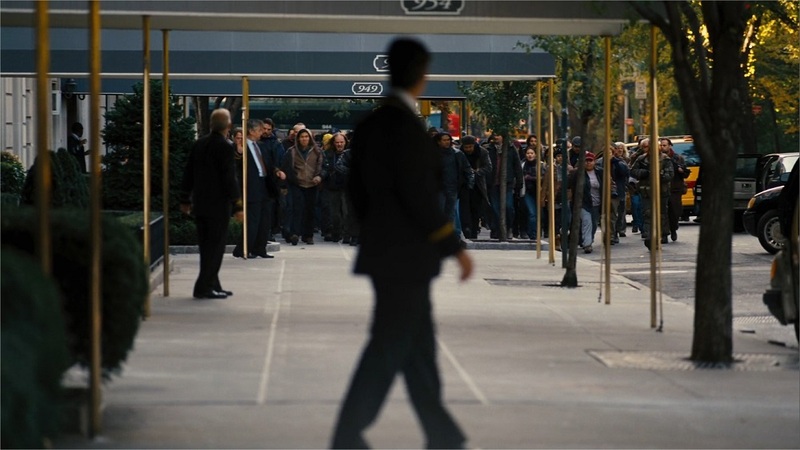 Paparazzi #1: No, that's Bruce Wayne! The luxurious interior of the charity benefit ball hosted by Miranda Tate is the one from the Crush Hall of Senate House in London. 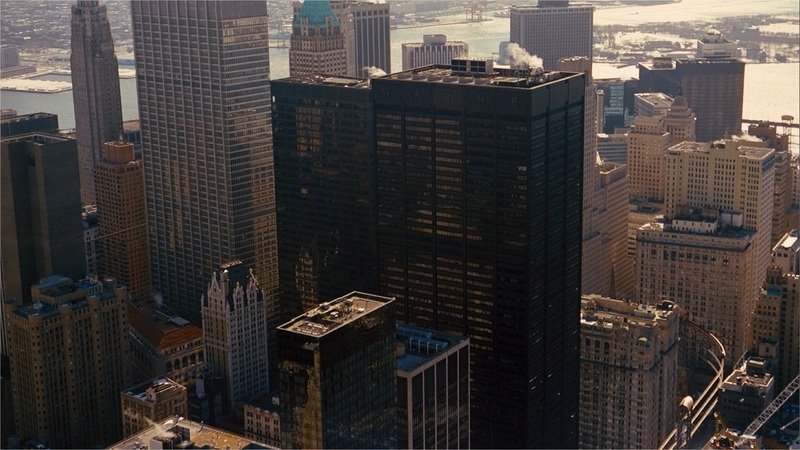 After Chicago in the first two movies of The Dark Knight Trilogy, it's up to New York to host the headquarters of Wayne Enterprises. 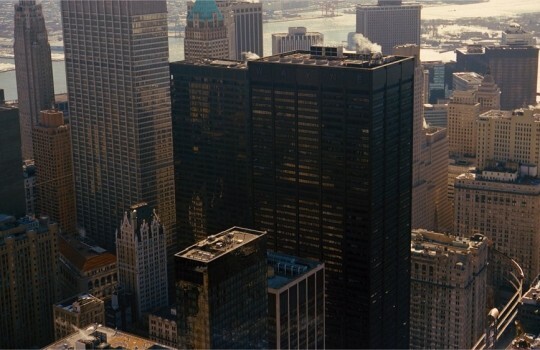 It's unclear what exactly is the Manhattan building presented as Wayne Enterprises (help anyone?). 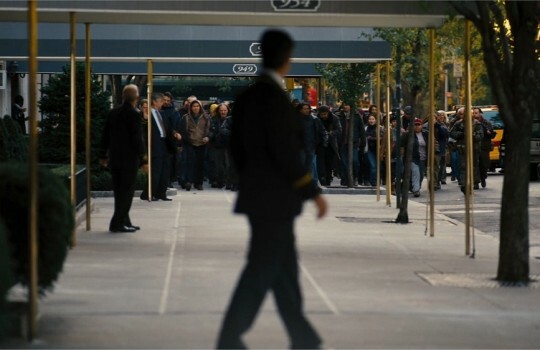 However, it's not the Trump Tower - the building was used only to portray the entrance of Wayne Enterprises where Bruce Wayne exits in shame after being ousted from the board. 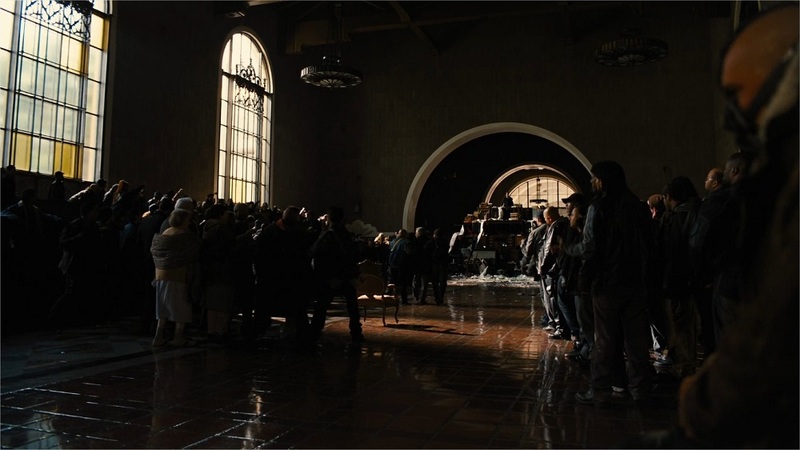 A Los Angeles office was used as filming location for the Wayne Enterprises Boardroom. 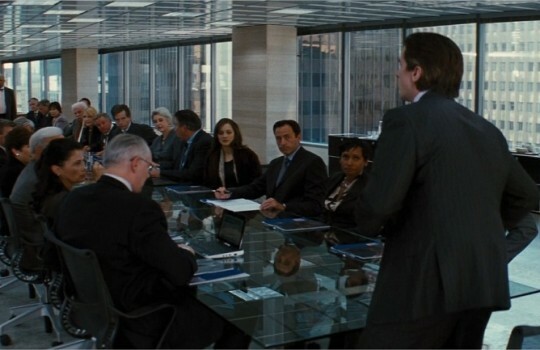 It's in this very boardroom that Bruce Wayne is pushed to the exit by Roland Daggett after being framed by Bane. 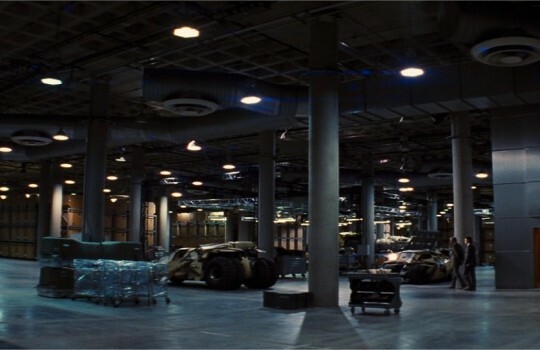 The legendary Wayne Enterprises Applied Sciences division finds a new home in The Dark Knight Rises at the Los Angeles Convention Center. The facade of the Gotham City Stock Exchange was quite appropriately represented by the JP Morgan Building at 23 Wall Street in Manhattan. 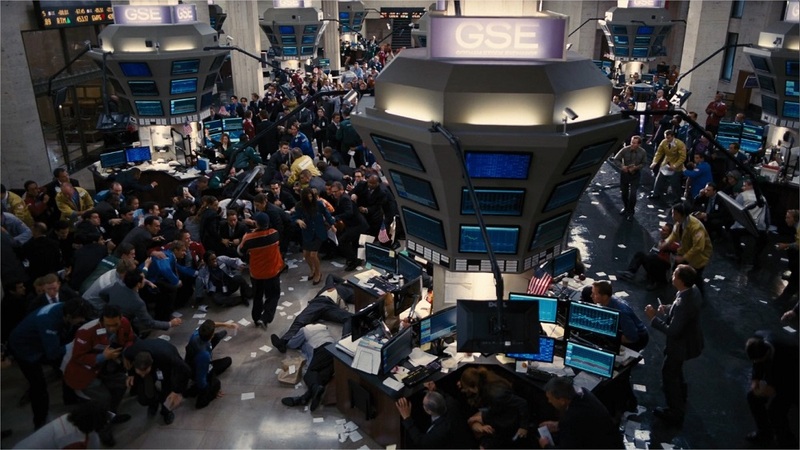 Inside the Stock Exchange, Bane and his men infiltrated as shoe cleaners and floor sweepers take over the trading floor in a very symbolic scene. 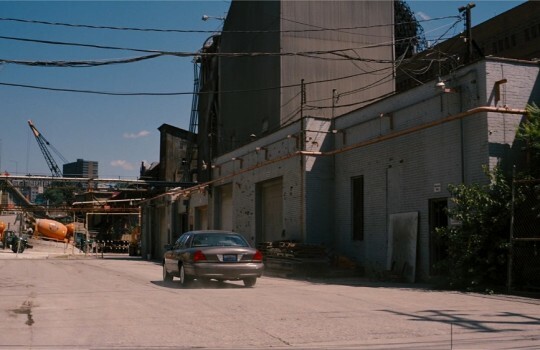 This part and the following chase through Gotham City was filmed in Los Angeles. 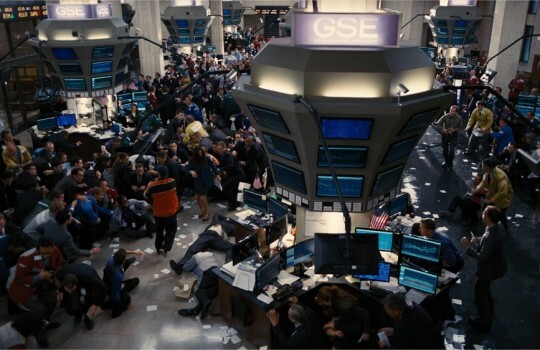 Trader: This is a stock exchange! There's no money you can steal! 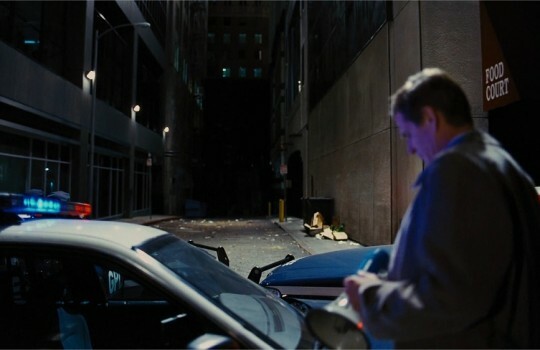 The dead-end street where Batman seemingly gets cornered by the police is Lebanon Street in Los Angeles. Commissioner Foley: Like a rat in a trap, gentlemen! Cop: You might have the wrong animal there, sir. 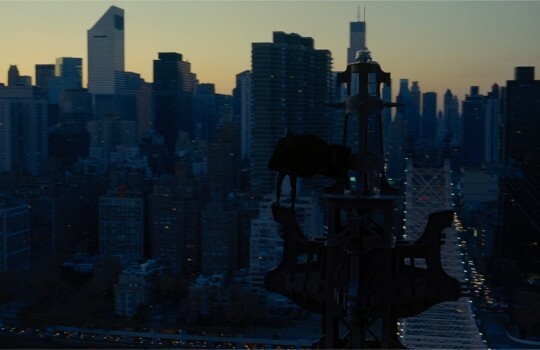 Perpetuating his long-lasting tradition of watching over Gotham at night, Batman picks the Queensboro Bridge as surveying spot in The Dark Knight Rises. 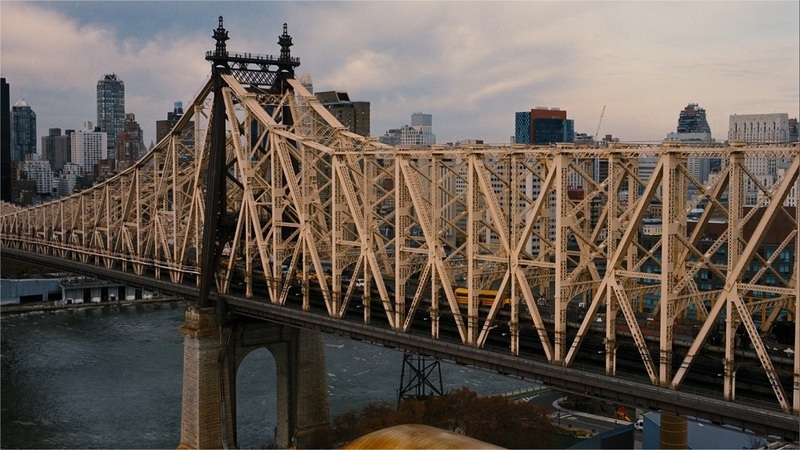 It's also on this bridge that the Army erects a barricade to prevent Gotham citizens from leaving the city. 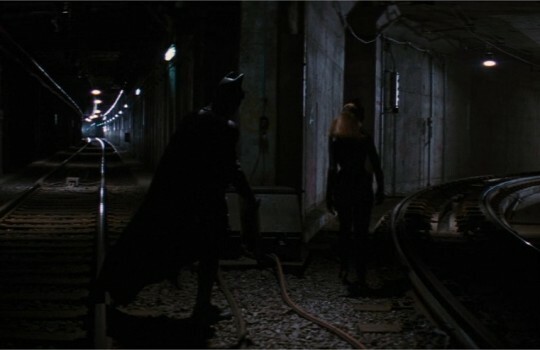 The subway where Selina Kyle aka Catwoman leads Batman to Bane is the Military Park Station of Newark, New Jersey. 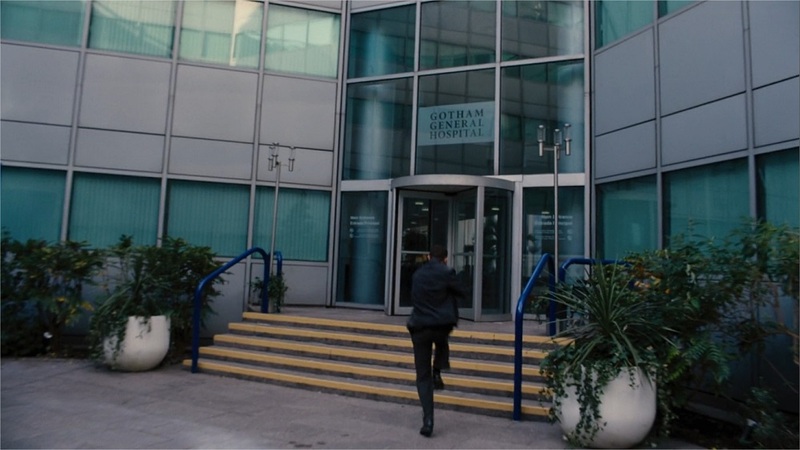 London Standsted stands for Gotham International Airport in The Dark Knight Rises. If you fly to London from another European destinations with EasyJet you are likely to arrive in London Standsted - make sure to pay a close look to the service desks and hallways if you are ever there! 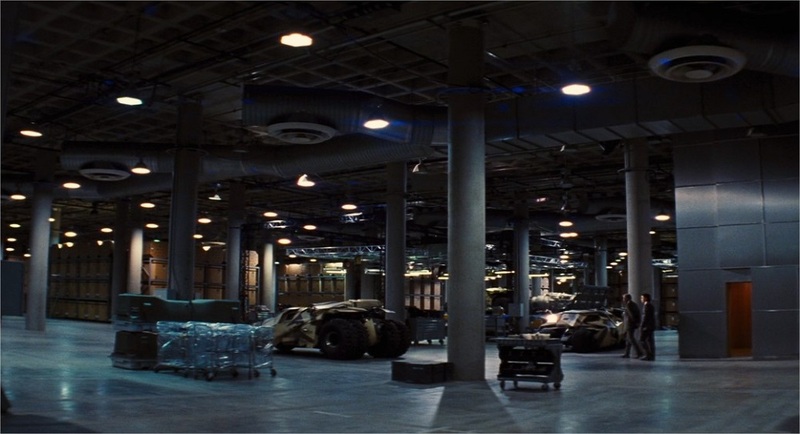 The Pit is an underground prison and, as Bane puts it, the worst hell on Earth because of the light shining through that gives hope to its prisoners. Little is known about the location of the Pit except that it's in the ancient part of the world. 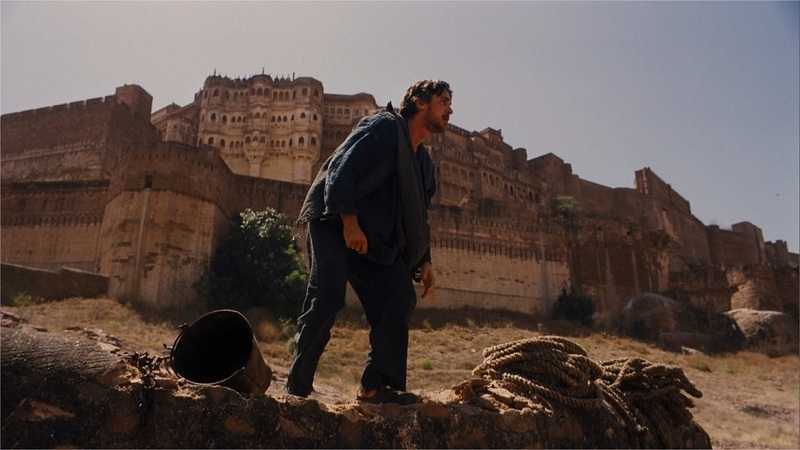 In The Dark Knight Rises, the Pit is portrayed by Jodhpur in India with beautiful views of Mehrengarh Fort. 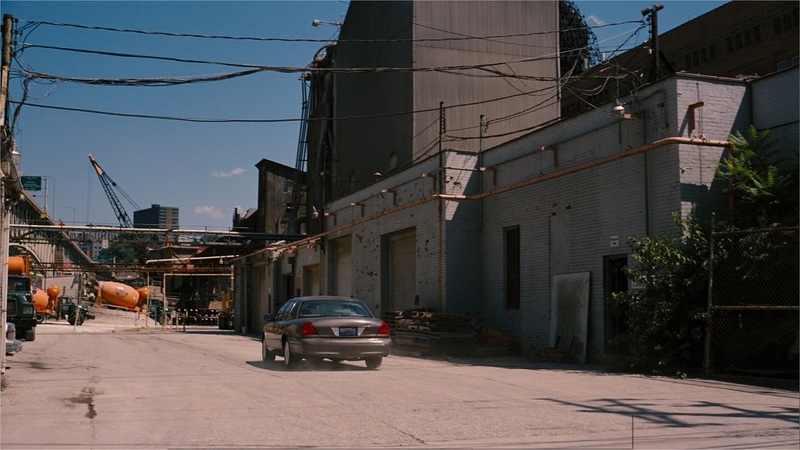 The cement company where John Blake starts to make sense of Bane's plans is Frank Bryan Cement Plant in Pittsburgh. John Blake: Commissioner, it's Blake. I got two dead witnesses and a lot of questions. 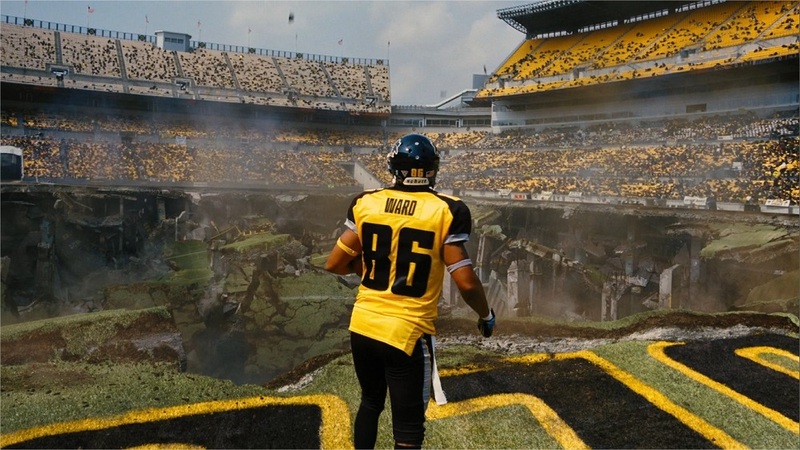 The impressive explosion scene at Gotham's football stadium was filmed at Heinz Field, home to the Pittsburgh Steelers and University of Pittsburgh Panthers. 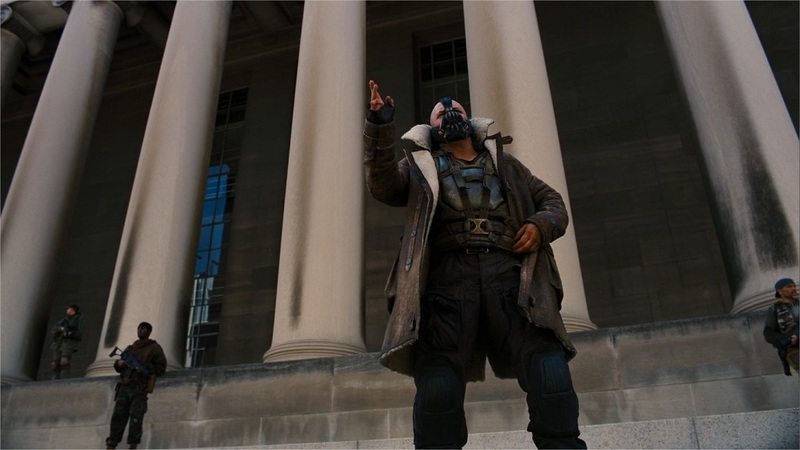 Bane: [Listening to the national anthem before the Gotham football game] What a lovely, lovely voice. 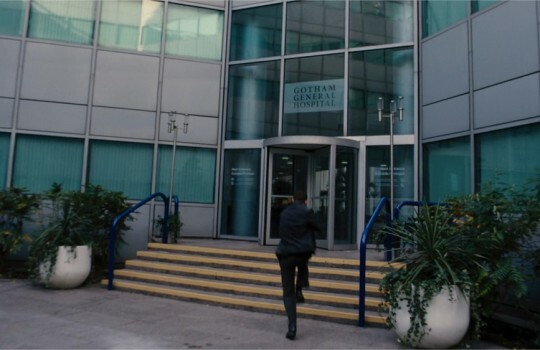 The hospital Gordon visits after his adventure in Gotham's sewers is the Delta House in London. 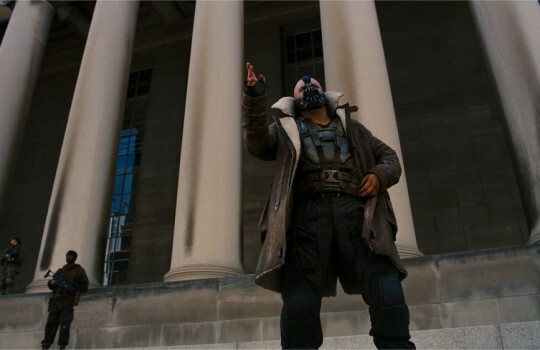 Bane exposes the truth about Harvey Dent in front of Gotham City Hall portrayed by the Carnegie Mellon Institute in Pittsburgh. 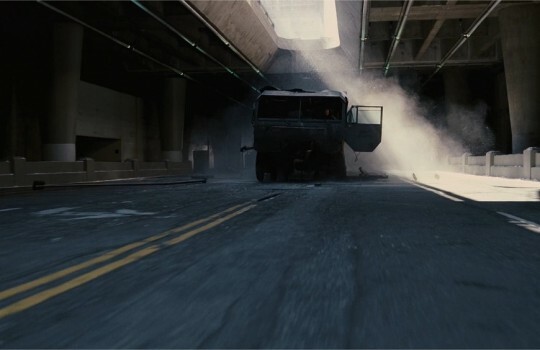 Bane frees the prisoners from Gotham's Blackgate Prison, located in The Dark Knight Rises in front of Gotham City Hall. 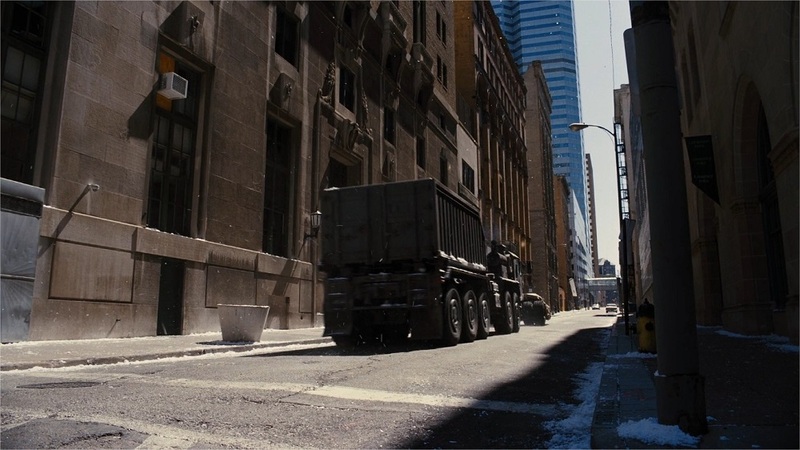 In real life, the Software Engineering Institute of Pittsburgh stands for the prison but is located further than Carnegie Mellon Institute than the movie let it suppose. 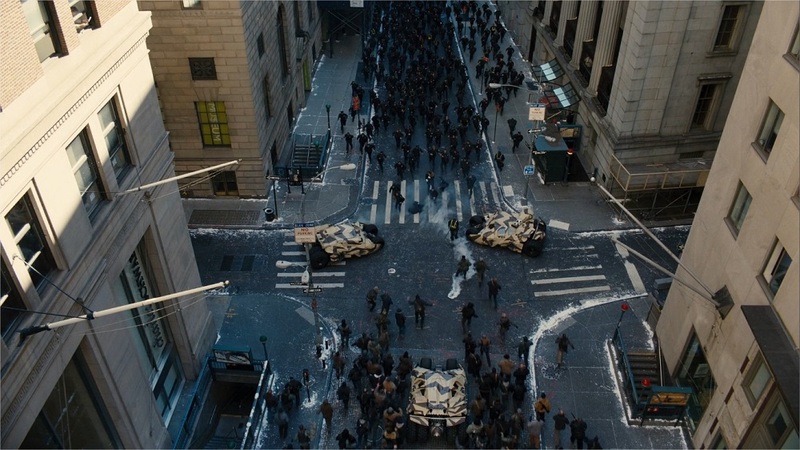 The scene where Gotham's One Percent are savagely assaulted by Bane's followers was filmed at Park Avenue in New York City near Central Park. 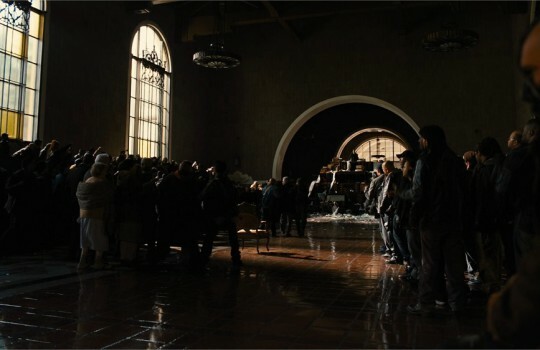 The kangaroo court hearings held by Dr. Crane aka Scarecrow take place at Los Angeles' Union Station. 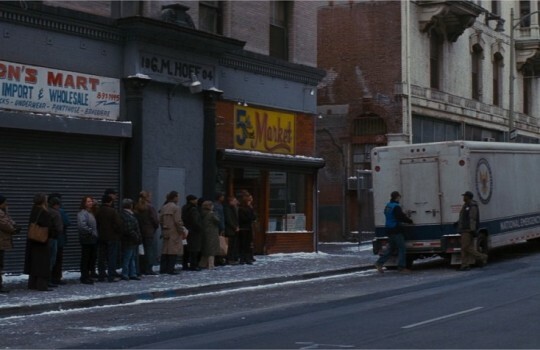 Supplies become scarce in Gotham under Bane's reign and citizens are queuing for food in front of the GM Hoff building in Los Angeles. 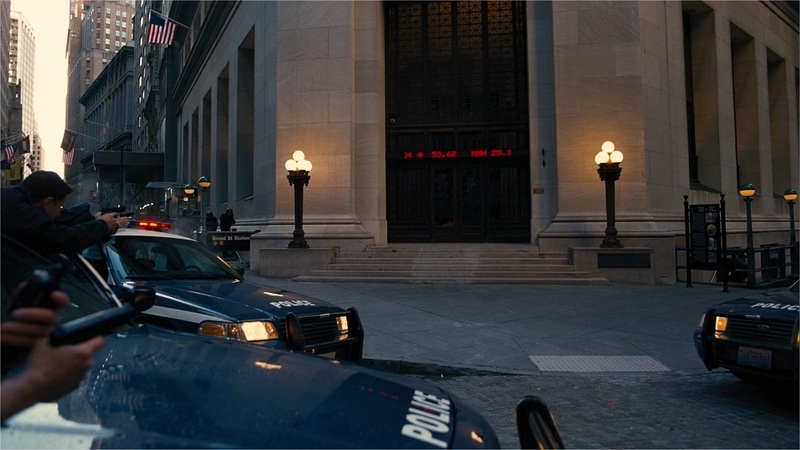 With Batman broken and exiled, the police forces of Gotham City try to organize the resistance and meet with Lucius Fox and Miranda Tate in the Bank of America building in Los Angeles. 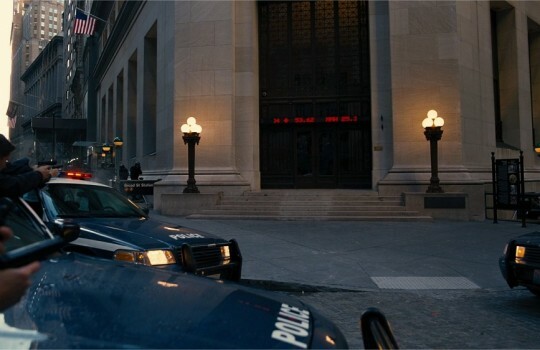 Gordon visits Commission Foley hoping to convince him to join the decimated police forces of Gotham in their fight against Bane. The house of the commissioner is in Lawrenceville, a neighborhood of Pittsburgh. 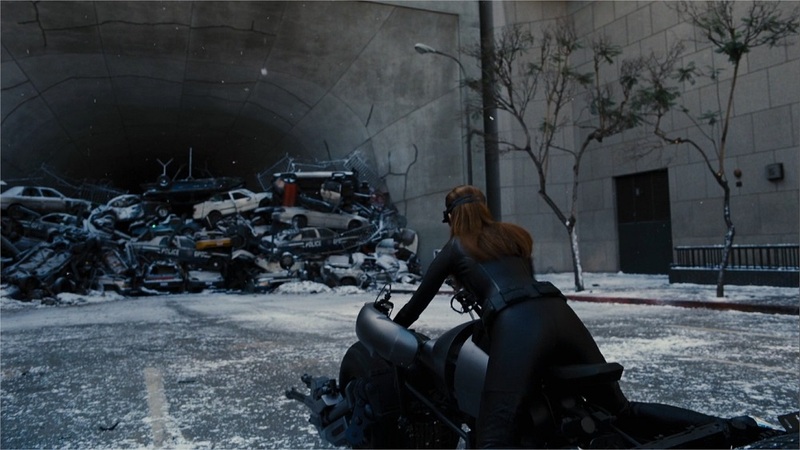 The tunnel where Catwoman shows off her skills with the Batpod by blowing a pile of cars is the Third Street Tunnel of Los Angeles. 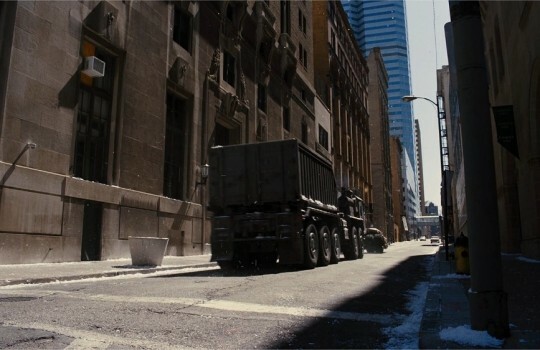 The scenes where the police led by Gordon try to identify the truck with the nuclear bomb among the decoys were filmed Downtown Pittsburgh. The roadway where the nuclear truck finally crashes from one level to another is South Grand Avenue in Los Angeles. This leads to an acting prowess by Marion Cotillard that sparked laughter all over the Internet. 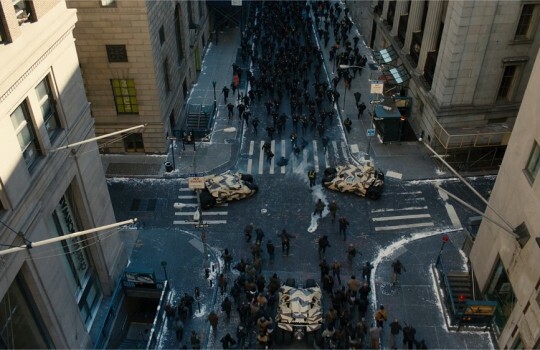 The epic battle between Bane's cohorts and Gotham's police forces takes place in the street of Pittsburgh, with the final duel between Bane and Batman on the stairs of the Carnegie Mellon Institute. 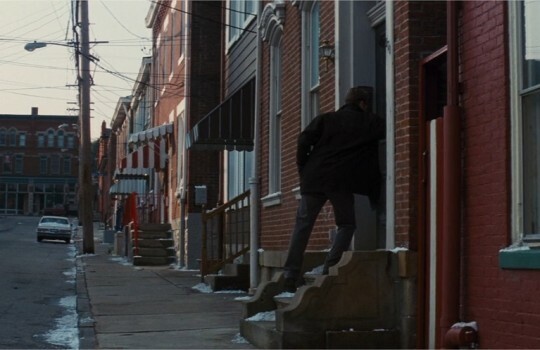 Commissioner Foley: There's only one police in this town. 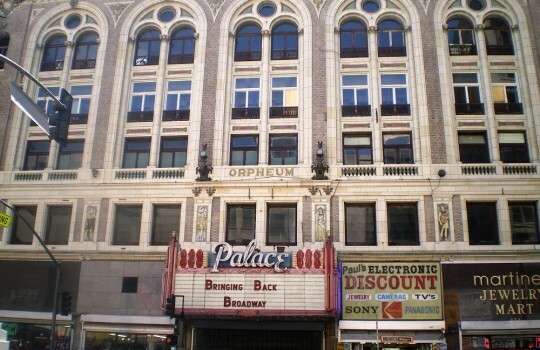 The orphanage where John Blake rescues his protégés is the Franktuary restaurant in Pittsburgh. 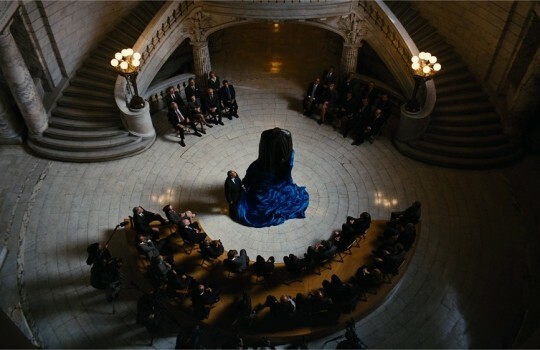 The statue in honor of Batman is erected in Newark City Hall in New Jersey. 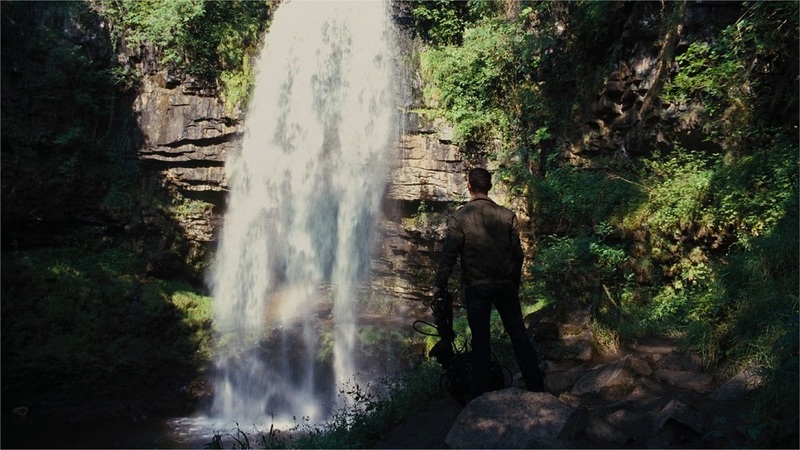 Certainly one of the most legendary landmarks of The Dark Knight Trilogy: the waterfall guarding the entrance to Batman's cave is Henrhyd Waterfall near the town of Powys in Wales. This is where John Blake becomes Robin, Batman's worthy successor, a new hero Gotham deserves. 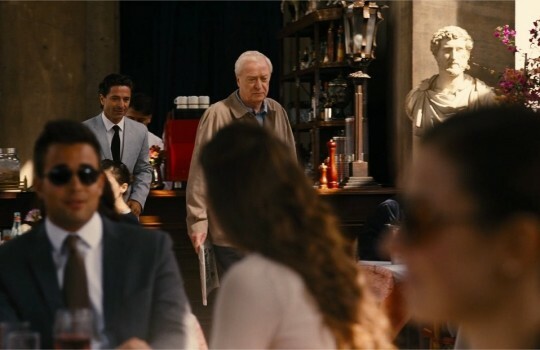 Finally, the modest dream of Alfred becomes reality as he spots his spiritual son Bruce in the company of Miss Kyle in Florence. 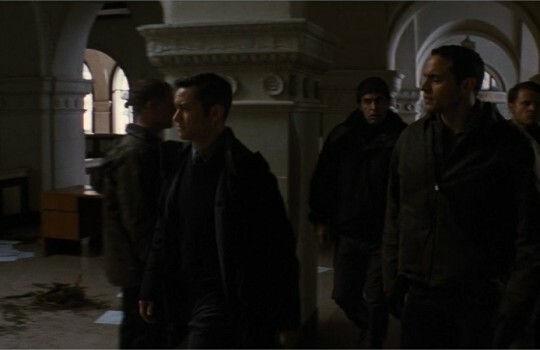 This is not really Italy though: the scene was filmed at Old Royal Naval College in Greenwich, London.